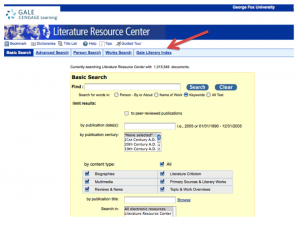 Here’s some helpful information for using Literature Resource Center. 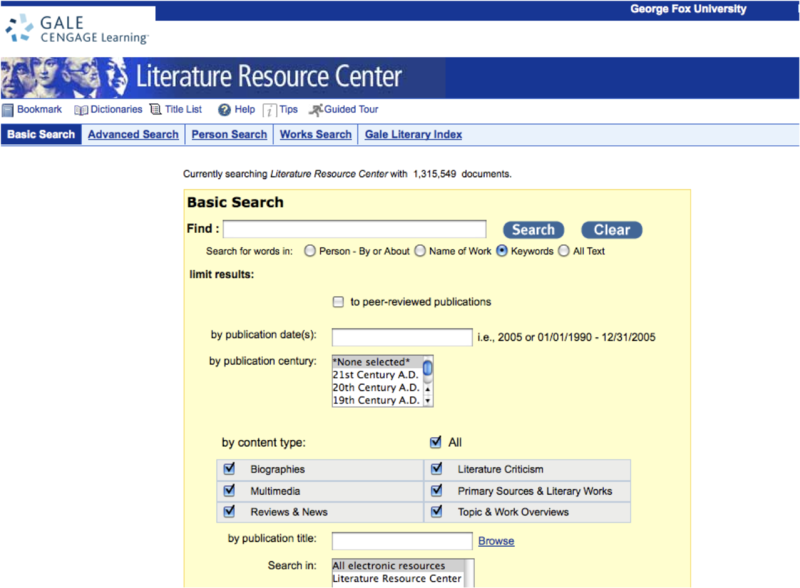 This database includes access to Gale’s Literary Index which is a master index to the major literature products published by Gale. It combines and cross-references over 165,000 author names, including pseudonyms and variant names, and listings for over 215,000 titles into one source. 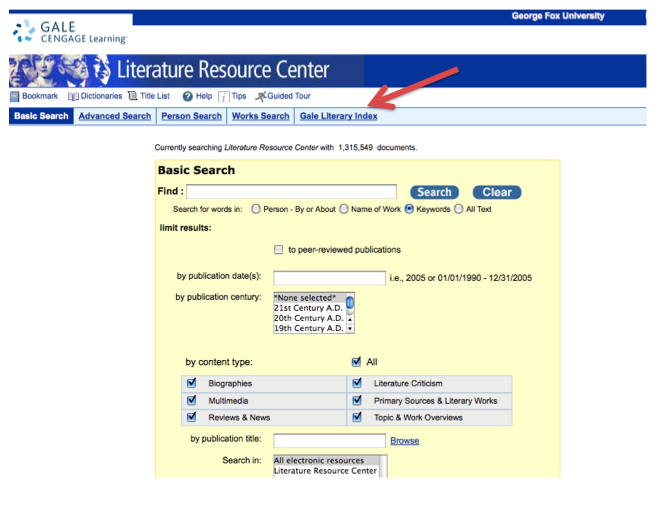 Click on the Gale Literary Index link to use this index as a starting point to locate authors and titles covered in our many Gale print resources. This entry was posted in Databases, Literature, Tips. Bookmark the permalink.